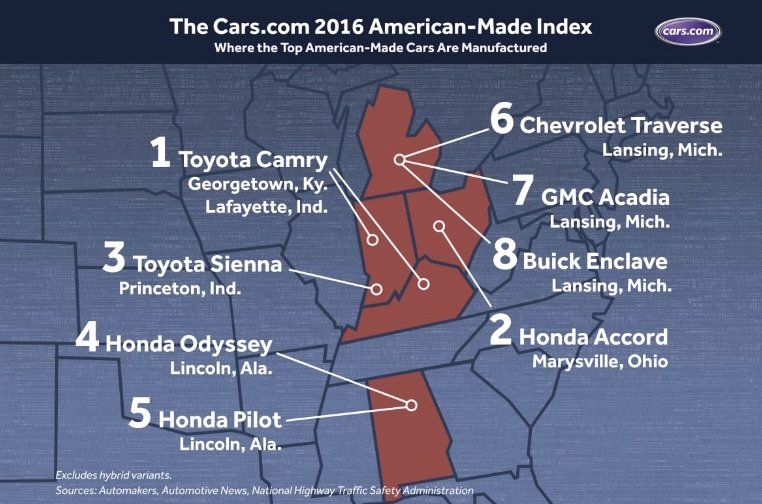 For cars, it’s tough to guess a “Made in America” rank. To qualify as American Made by cars.com, the Toyota Camry had to have been manufactured and bought in the U.S. Specific criteria include where the car is assembled, whether more than 75% of its parts came from the U.S., and if it is primarily purchased by U.S. consumers. Toyota’s impact on the U.S. economy starts with 30,700 manufacturing related jobs. 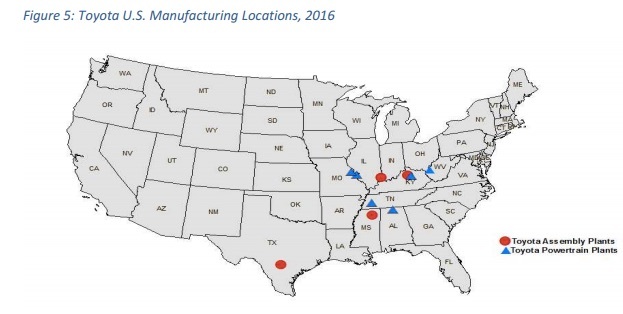 But we can move from there to a 6.1 jobs multiplier (estimated by the Center for Automotive Research) because of a ripple of suppliers and dealerships. The largest BMW factory in the world is in Spartanburg, South Carolina. Opened in 1994, it has expanded its facilities and currently produces more than 400,000 vehicles a year. While the firm directly employs approximately 8,000 workers, like Toyota, its impact includes a ripple of jobs in supporting industries. As the largest U.S. car exporter (70% of their U.S. production), BMW would not have gotten a high American Made Index grade because of its U.S. sales. So yes, a Japanese firm can have the most American car. A German firm can support our balance of trade, jobs growth, and our GDP as the largest U.S. car exporter. 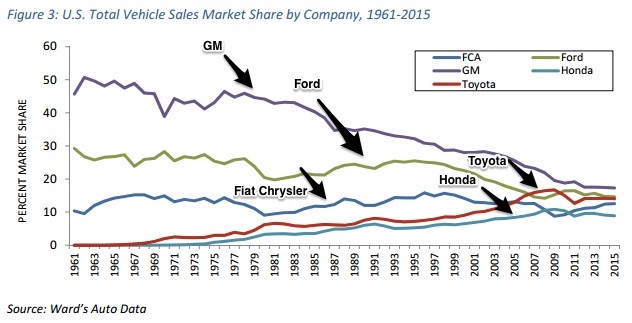 And U.S. auto sales can be increasingly shared by U.S.-based firms and those from other nations. Globalization is complicated. It does not just involve whether G.M’s Chevys are sold in Germany or BMW assembles cars in Mexico. So if someone asks why you drive a Japanese or a German car rather than an American vehicle, you might be able to say your car was made in the U.S.A.
My sources and more: For understanding the global character of the U.S. economy, the cars.com’s list of American Made cars is always an eye opener. But you do need to look at this paper (my source for above U.S. map) to get a flavor of Toyota’s U.S. operations. Similarly, with BMW in the news, I wanted to check their U.S. presence.